UPDATE: If Obama is a socialist, so was Reagan. 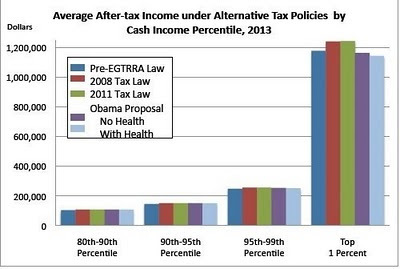 "Obama's tax policy relies on the same progressive approach that has been the cornerstone of American tax policy since the federal government first collected an income tax in 1863, an approach embraced by Republicans and Democrats. It was based on the Tax Act of 1862, which President Abraham Lincoln signed, and which imposed a 'duty of three per centum' on all income over $600, and five percent on income over $10,000. The idea is that the wealthy pay a larger share of their income because they are more able to afford it. To the extent the government then gives some of the money to the less-wealthy through various programs, you could say the income is being redistributed. But that concept has been embraced by Republicans and Democrats for well over a century. That's enough for us to set the Truth-O-Meter ablaze, but let's dig a little deeper to explore whether Obama's main policies can accurately be called socialism. Read Politifact, Rick Perry says Barack Obama is a socialist, which finds the claim a Pants on Fire lie.